Bus builder Volgren has entered the Japanese bus market as the country seeks complementary alternatives to its heavily rail-based public transport system. 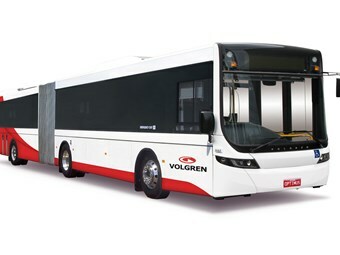 In September, Volgren will ship its first articulated bus for the Japanese city of Niigata. The bus is the first in an initial order of four for the city, and another three buses will be delivered in 2015 with plans for more in the coming years. This is the first time Volgren has built a bus for the Japanese market and follows an approach to the company three years ago, from new partner Mitsui - one of Japan’s largest corporations. Volgren Contracts and National Business Development Manager Jon Tozer says they are very proud and excited that Niigata and Mitsui have put their trust in Volgren’s design, safety and manufacturing quality standards. "We also believe there is terrific potential for the future," he says. "Volgren has had several discussions with a number of other cities in Japan, with the prospect of further sales looking very favourable." The 26 tonne articulated buses for Niigata will use Volgren’s clean and modern bodies and the unparalleled Co-bolt aluminium frame and will be 18 metres long by 2.5 metres wide and 3.8 metres high. Japanese public transport is heavily rail-based at the moment, but more and more governments there are looking at Bus Rapid Transit as an option.